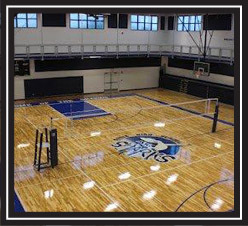 What are the maintenance requirements of a wood floor? Wood flooring should be swept daily with a treated dust mop to keep the surface free of dust, grit, sand, and abrasive particles. All spillage should be immediately wiped from the floor. Marks can be removed from the floor using an approved cleaner. 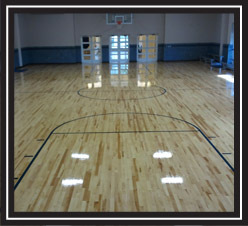 Wood flooring is typically screened and refinished on an annual basis. 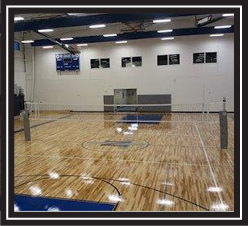 Please click the link below to view Aacer Sports Floorings maintenance guidelines.